Commissaire Adamsberg leaves Paris for a three-day conference in London. Accompanying him are Estalere, a young sergeant, and Commandant Danglard, who is terrified at the idea of travelling beneath the Channel. It is a welcome change of scenery, until a macabre and brutal case comes to the attention of their colleague Radstock from New Scotland Yard. Just outside the gates of the baroque Highgate Cemetery a pile of shoes is found. Not so strange in itself, but the shoes contain severed feet. As Scotland Yard's investigation begins, Adamsberg and his colleagues return home and are confronted with a massacre in a suburban home. Adamsberg and Danglard are drawn in to a trail of vampires and vampire-hunters that leads them all the way to Serbia, a place where the old certainties no longer apply. 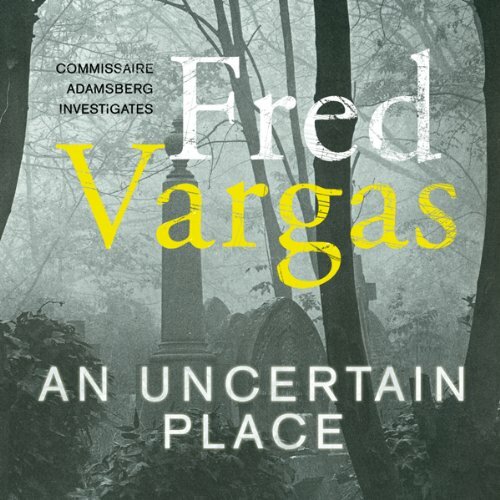 In Fred Vargas’s riveting new novel, Commissaire Adamsberg finds himself in the line of fire as never before.